You’ve worked hard to earn belts, skills, and now students for your martial arts school. You’ve literally earned the right to be called a Sensei through blood sweat and tears. If you’ve spent time on driving traffic to your website and you rely on new student inquiries from website contact forms but you want to grow your number of students, we can help. Our Quick Capture Agent™ works on your website like a ‘Virtual Sensei’ engaging with prospective students, answering questions, and sending you valuable contact information to follow-up. Other martial arts school owners report that they receive more leads from their Virtual Sensei than through any other lead capture method. Plus, the leads are all high quality and the real sensei knows exactly what they want so the leads are easily converted to new students. It’s easy. Think of it like a brand new apprentice that you hire to answer the telephone. If their job was to answer the phone they would need to have a basic level of knowledge about your business, with the ability to ask a few questions and capture all of the information so that you or a more experienced staff member could follow-up. This is the same concept applied to the online world. 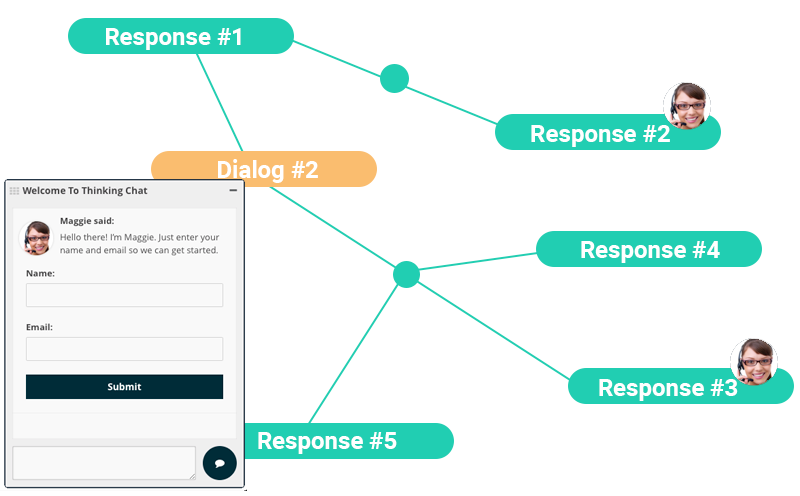 Your Quick Capture Agent™ simply uses Thinking Chat technology to engage website visitors, ask questions, and relay that information to you/your team for appoint setting or follow-up. 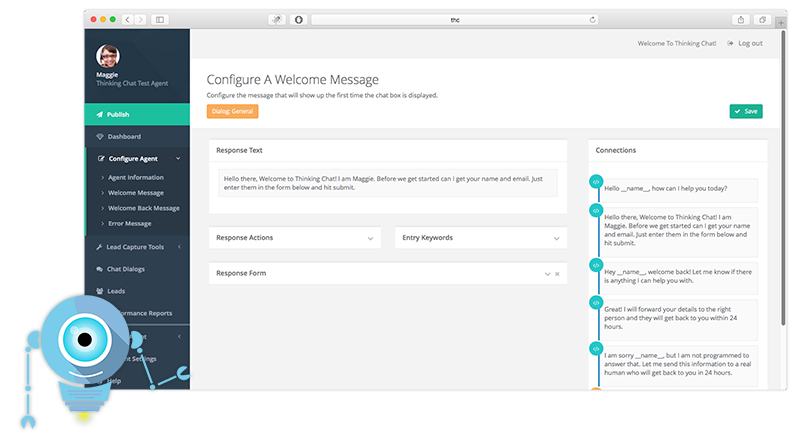 One of the most important aspects of Thinking Chat Technology is that it makes configuring an automated chat agent a breeze. The Thinking Chat Agent works right out of the box by engaging your customer - but with our easy to use dashboard you can control our advanced Smart Capture Tools and easily configure them to suit your needs now, and over time. Use our custom add-ons to add more functionality to your chat agent. Install a collection of commonly used dialogs & responses with a single click. Follow our tutorials, tips, and suggestions that we compile from customers in a diverse set of industries so that you can further optimize your agent. Using advanced technology like automated chat does not need to break the bank. You don’t need to buy supercomputers or hire propeller heads to figure things out. With our cloud based monthly software service and affordable pricing plans you can pay as you go and upgrade when ready. Our plans offer an easily measured ROI and are easily affordable for small businesses serious about using marketing automation technology to increase new customer acquisition. Visit our pricing page and select the agent that is right for you.